Ft. Lauderdale, FL – April 4, 2019 – – Transforming America Through Interaction (“TATI”), Inc., a South Florida community organization, recently announced the appointment of Garfield Wright as the new President of the organization. 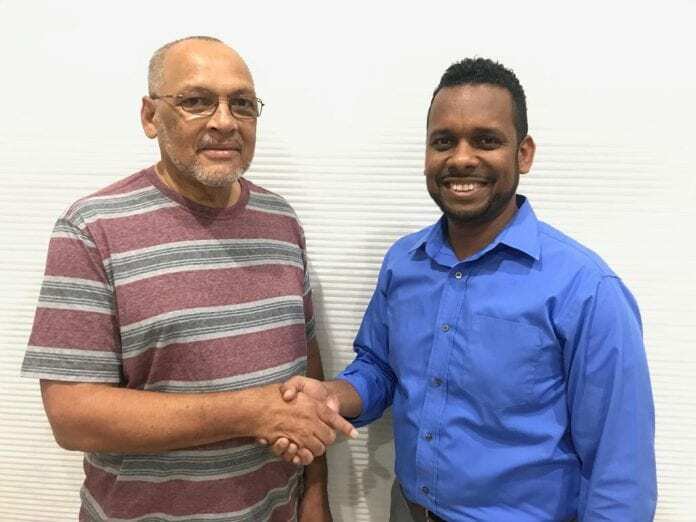 The official handover took place at a recent meeting of the Board of Directors where outgoing President, Albert Lettman handed over his presidency to Mr. Wright. Garfield Wright has a background in supply chain and is a Supply Chain Manager with Interplex. A father of two, when he is not volunteering, spends his time enjoying a good game of soccer; whether playing scrimmage on the weekends or watching it with his friends. To learn more about Transforming America Through Interaction (“TATI”), Inc., visit their website at www.taticaribbean.com, or call 954-895-8384.